After the successful completion of Samudrik Ratna, the next step is to complete the Samudrik Shastracharya course. This course gives complete knowledge of Palmistry and ample practice to be master in this field. How to predict for specific questions on health, finance, profession, education, longevity etc. is taught in this course. Along with remedies that could be suggested just in case. An in-depth analysis of face reading is also taught during the Samudrik Shastracharya course. The Best Institute for learning Astrology Online, AIFAS has a panel of wrld renowned astrologers that are waiting to share their knowledge with you. From a hands on approach, the Astrology courses available at AIFAS are of top quality and start from the very basic to intermediate and then master levels. The teachers pay full attention to evrvy little detail so that nothing goes haywire. The courses are available as regular courses and distance learning format both. The duration of the Samudrik Shastracharya course is 6 months, as per the guidelines designed by AIFAS. However, the duration of the course is subjective to your respective chapter. It might change depending on the chapter that you enrol yourself into. For more information, you can contact the head office at Delhi NCR. The last two classes of the course would be separately marked for examinations. 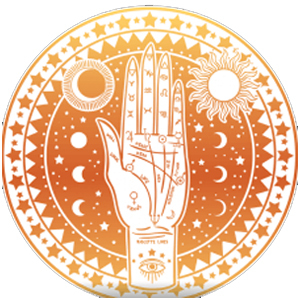 For enrolling yourself in the Samudrik Shastracharya course, you need to have cleared the first level of Palmistry or have pror experience in the field. An entrance test would be conducted before accepting the application to check eligibility. The Fee for Samudrik Shastracharya course is Rs. 10000 for Delhi NCR and 500 USD for International students. The Samudrik Shastracharya course would contain 3 papers, each covering different aspects of the Palmistry world. The first paper is regarding the diagnosis of diseases through your palm and how it can decipher the correct time. The 2nd paper would center around the different parts of your body and how they can predict your future. Reading of the eyes, ears, nose, and moles would be some amongst many in this paper. The 3rd paper woul be a practical that would involve all the modules taught in a practical form and test your knowledge through comparing and studying celebrity and known personalities. Knowing diseases by palm, knowledge of disease by fingers and nails, comparative study of normal and abnormal diseases, knowing cause and time of diseases. Knowing Rajyoga etc. from palm, the effect of good and bad yogas. Knowing mutual merits, nature, intellectual, working capacity, mutual understanding, love and behaviour of two natives. Analysis of matchmaking system, and use of the matching system in daily life. For negative effects, the advent of good luck, health, peace and education etc. Kinds of faces, knowing the personality of different faces, the study of different lines on the forehead. Different kinds of eyes and their merits, nature, disease, the relation of eyes with eyebrows, several kinds of eyebrows and their effects, prediction through eyes. Importance of ears, kinds of ears, the influence of hair on the ear, personality difference due to small and large ears, the effect of abnormal ears, knowing age by ears. Different kinds of noses, the difference between small, long, flat and abnormal noses, knowing personality by the nose. Moles found on different places and their effects, the effect of a mole on face, palm, different kinds of moles and their effects. To know the future by different parts of the body, the effect of missing part or extra part of the body. Effect of different posture, the effect of food habits, clothing, sitting, walking etc. Predict & identify various diseases from the study of palms of persons known. Compare with actual results. Suggest remedies and prove that remedies actually responded with the real situation. Note: The modules 1 to 4 will be covered in Paper 1, 5 to 11 in Paper 2 and Module 12 in Paper 3.